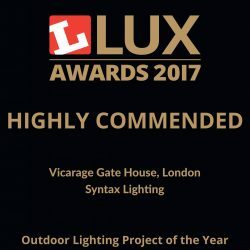 We are pleased to announce that our project Vicarage Gate House in London has been shortlisted for the Lux Award 2017 in the category Outdoor Lighting Project of the Year. The Lux Awards are designed to celebrate and reward both creativity and sustainability, recognising clients and end users that have used lighting in exceptional ways to improve their lit environment, reduce energy and achieve business objectives. 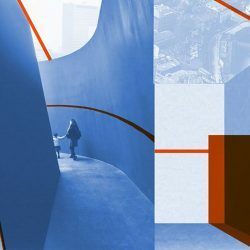 The shortlisted projects have been selected from over 200 entries by the team of end users and lighting experts. The judging team will now visit and assess each project on site.